JYJ’s hot new song’s rebirth into the ad for Optimus Q2—The Backstory? 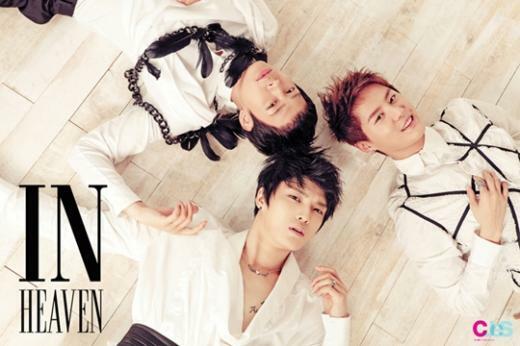 We believe that one of the hottest issues in the pop music industry for the second half of 2011 is the official release of the first Korean-language album of the global star, JYJ. The song that is generating attention every day in the album In Heaven is non other than Get Out… Good Bye co-composed by Kim Jaejoong and Park Yoochun. This song which was released like a comet with no prior promotion conquered a variety of digital music charts from the moment of its release and announced the return of the King. However, is it that the fans were not satisfied with merely the release of the mp3? Many fans were counting down the days to see the music video in which they sang. To give these fans the satisfaction, LG Optimus stepped out. In truth, our advertisement for LG Optmius Q2 had been in preparation for two months in advance. LG Electronics had covertly obtained information that JYJ would release a new song, and began to prepare a thorough plan for advertisement in advance. We selected JYJ to be the lead of the advertisement for LG Optimus Q2 because we decided that the LG Optimus Q2, with its best of capabilities and its relief of the frustrations of a touch screen of smart phones through a QWERTY keyboard, fit well with the image of JYJ who are perfect in everything—performance, acting, composing, dance, and singing. Above all, the situation that JYJ now faces (restrictions on appearing on music programs of public TV) was enough to create a story that the customers wanted. Further, the fact that the yearning of the fans to see them (a fandom of 800,000, the largest in the world) was substantial also played a role. JYJ also benefited since they were able to be exposed on public TV through the music video, while LG was able to heighten the degree of focus on the product. So it was a win-win strategy. Above all, until now there had been no advertisement in which the three members of JYJ appeared together—and so we were secured the scarcity value by using JYJ in the advertisement, more so than any top model. 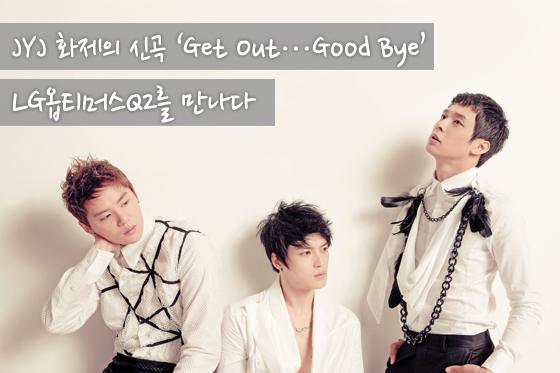 On September 20, prior to the actual release of the advertisement, the music video for Get Out… Good Bye was officially released for the first time for the fans who had been waiting for JYJ’s comeback on the microsite of LG Optimus Q2. In this process, we did suffer a bit of difficulties because the schedule of the product’s release and the timing that JYJ wished to reveal the music video did not match. In the end, JYJ waited about a month in order to have the date of revealing for the Music Video as near to the end of September when LG Optimus Q2 was planned to be released. Thanks to this, the promotions took place at the same time and created even more synergy. The anticipation for seeing JYJ for the first time in a long while after the music video’s revealing has continued in the form of interest for LG Optimus Q2 and so we are truly happy. In tune with our original plan’s intention, many fans are expressing a large sense of excitement at the fact that they can meet JYJ on public TV through the LG Optimus Q2 advertisements. Therefore we can say that the early marketing was extremely successful. Everyone~ JYJ is a do-it-all entertainer and shows a variety of appeal as Korean Wave Stars. Just as much as them, we hope you love LG Optimus Q2 with its best of capabilities, convenient QWERTY design, and a slim style.